Recently I was lucky enough to go on a trip to Arizona to visit family. What would a trip to a new and strange land be without searching high and low for breweries be though? Staying in Phoenix for the week I knew that we were going to be taking a huge road trip to the Grand Canyon that totaled around 500 miles or for us Canadians 800km of driving. With this in mind I searched out a few choice breweries I wanted to check out along the way. Grand Canyon Brewing was one of those locations. Located right downtown Williams you will find the brewery. 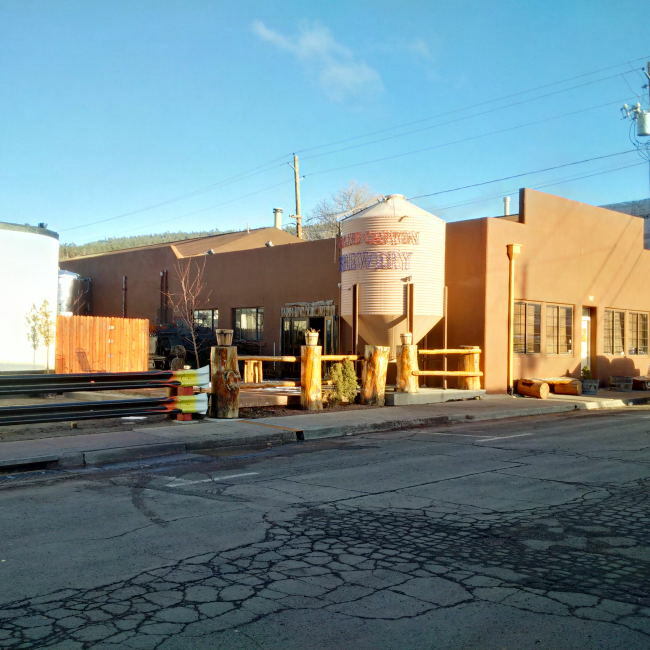 This is only a working brewery and does not have a tasting room so you should not make this part of your beer pilgrimage if you are hoping for a tasting room. During the summer they do have a Road House Diner but it was under renovations and not open. Luckily for me I was noticed while I poked around outside and took photos and was invited in for a tour of the production brewery. 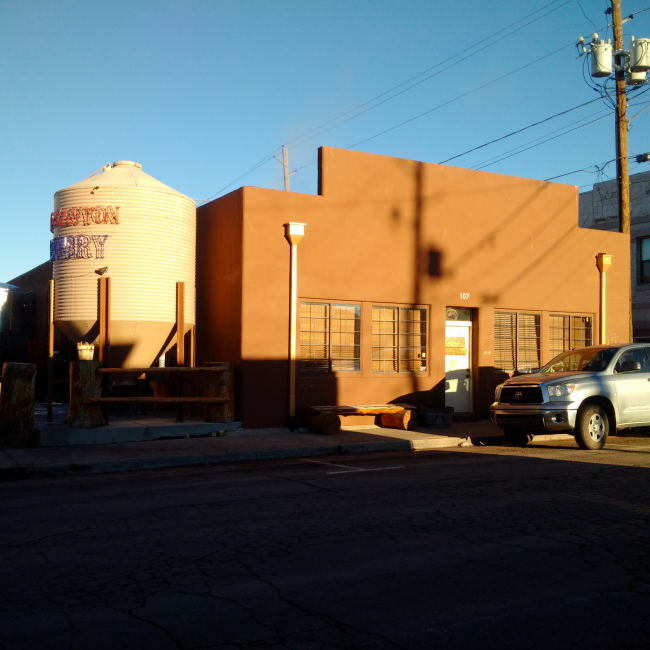 Grand Canyon Brewing is one of the largest breweries in the state of Arizona and in comparison to home in British Columbia I would place it right smack dab in the middle as a medium sized craft brewery although maybe on the larger side of medium. On a side note I was floored to see snow in Northern Arizona as can be seen by the photo below. The brewery was a nice clean production brewery with a nice copper brew house and a nerdy touch of a hulk mask that can be seen in subsequent photos if you look really closely. The brewery has a ton of short stubby tanks as the building housing the brewery is quite short. When the building was built they did not think about expansion at all. For being one of the biggest shows in town I was surprised at how small their packaging line was. They had a very small bottling line and canning line. I am sure it is very labour intensive to fill their beers. Heading outside of the main brewery building you will find the cold room for the brewery. You will also find tanks outdoors! Imagine storing beer outdoors in an environment that bakes all summer long in the Desert heat! That takes some super powered glycol! That rack hanging over the door was actually from a deer hunted by the breweries IT guy. sounds pretty Arizona to me. 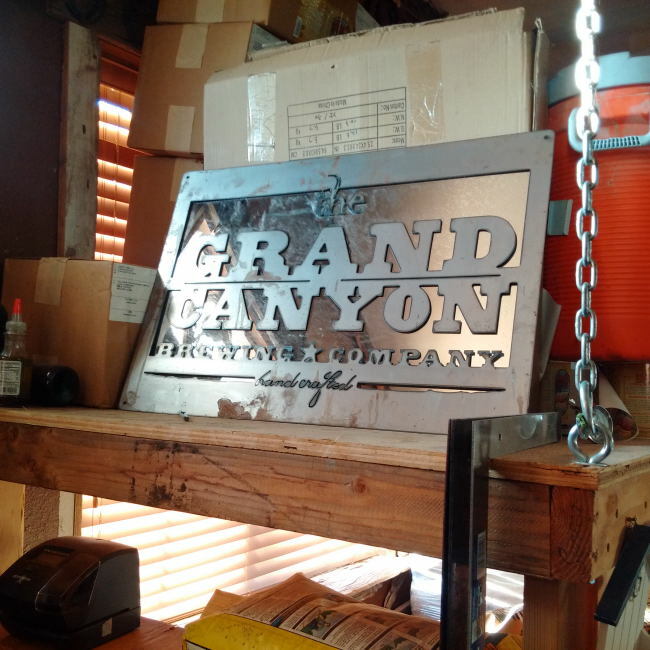 If you find yourself in the State of Arizona I really recommend you search out the Grand Canyon Brewing Company’s beer as it is some of the best beer in the state and they are working to do something noone else is doing anywhere currently! 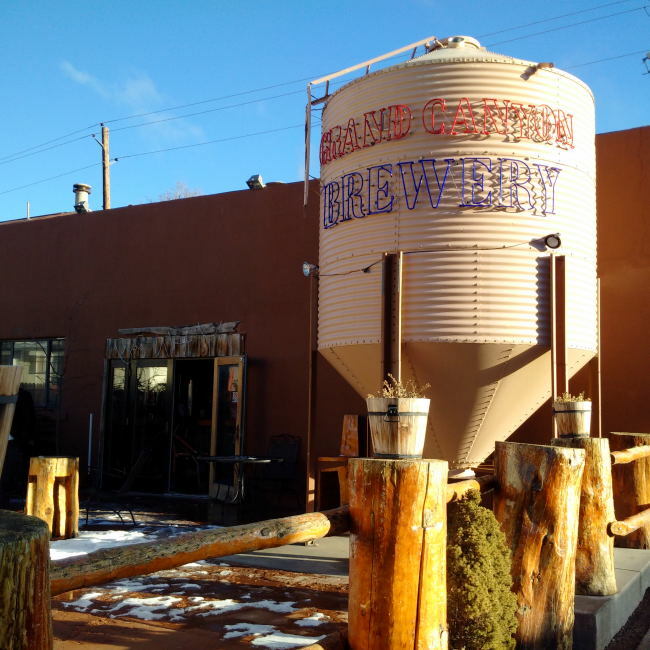 This entry was posted in Beer Travel, Brewery and tagged arizona, beer, beer travel, craft beer, craft beer travel, grand canyon brewing, grand canyon brewing company, northern arizona, travel, usa, williams.